One Eternal Day: "One for the road"
Many of the Marian Martyrs, protestants slaughtered under Queen Mary, met their demise at the Elms at Smithfield, London’s oldest execution site. St Bartholomew's Hospital features a plaque to commemorate several of them. Smithfield fell from favour as an execution site in the 1400s, with Tyburn (close to the modern landmark of Marble Arch, one of central London’s busiest corners) seizing the limelight. 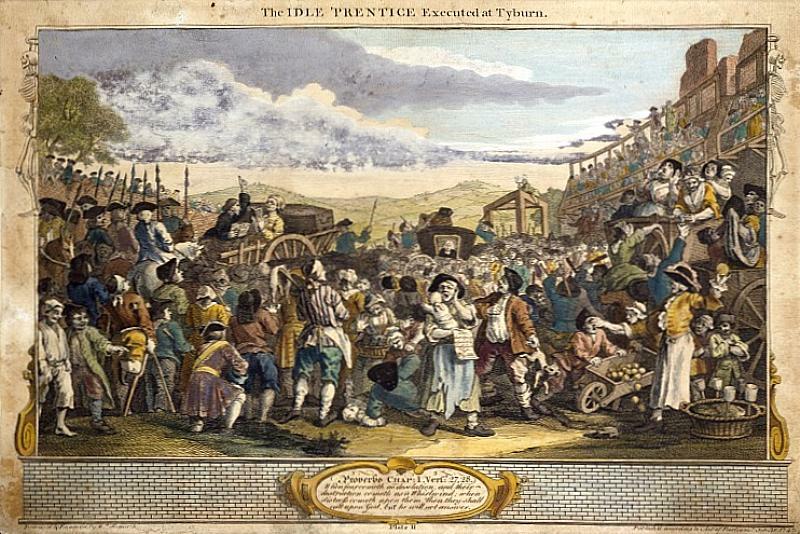 Back then it was a mere village, but it soon became synonymous with public executions. Prisoners would be taken there from Newgate Prison, via St Giles in the Fields and Oxford Street, with some permitted a final drink at a pub en route — the source of the phrase “one for the road”, some believe. A stone memorial can be seen on the pavement marking the spot where the Tyburn Tree, its distinctive three-sided gallows, once stood. The design meant multiple hangings could be carried out at once, such as on June 23, 1649, when 24 prisoners were hanged simultaneously, having been conveyed there in eight carts. You can get a sense of the chaos of the crowds attending these events in Hogarth’s etching The Idle Apprentice. In use for more than 700 years — from 1188 to 1902 — and the site of London’s gallows after Tyburn was retired from duty in 1783. The executions took place in public — with the gallows set up on Newgate Street — until 1868.